CHINESE New Year is a time to honour family and friends with plenty of festive dining and merry get togethers. Whether you are looking for a buffet or a multi-course Chinese meal, Sunway Hotel Seberang Jaya in Penang is the place to be. Lining up is a host of exciting culinary happenings that are imbued with traditional delights to entice taste buds as well as auspicious symbolism for a prosperous and happy year ahead. 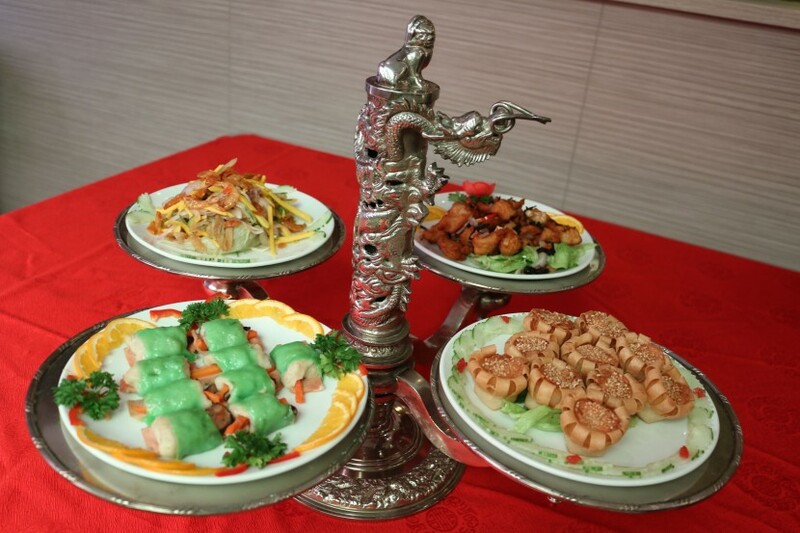 From now until Feb 29, the Chinese set promotions beckon with authentic creations and nostalgic flavours for a season of good luck and goodwill. Indulge in three choices of set menus prepared by chef Kelvin Chai Koh Kweng, who is backed by 35 years of experience. Priced at RM538 nett per table, the seven-course menu consists of seafood with fish maw soup, Thai green curry tiger prawn, deep fried seabass 3-style and braised trio mushroom, beancurd skin with siew pak choy. The hot and cold combination for the Chinese Set meals. Going at RM638 nett per table, the eight-course appeals with steamed spicy herbs chicken, deep fried tiger prawn with king sauce, deep fried red lion fish with Sarawak Sally sauce and steamed lotus leaf rice, amongst others. Add on RM88 nett for both the courses to enjoy the Double Happiness fresh salmon yee sang. As for the nine-course menu priced at RM788 nett per table, feast on yee sang, hot and cold combination comprising tea leaf chicken, sunflower roll, steamed lu yee kin and seafood roll, and shark’s fin with scallop and crabmeat. To further tantalise are steamed herbs chicken ulam style, deep fried tiger prawn with chef’s specialty sauce, steamed red lion fish with garlic soya sauce, braised broccoli with assorted mushroom and clams, seafood fried rice with anchovies, and chilled honey dew with sago. Reservations must be made five days in advance for all the sets. 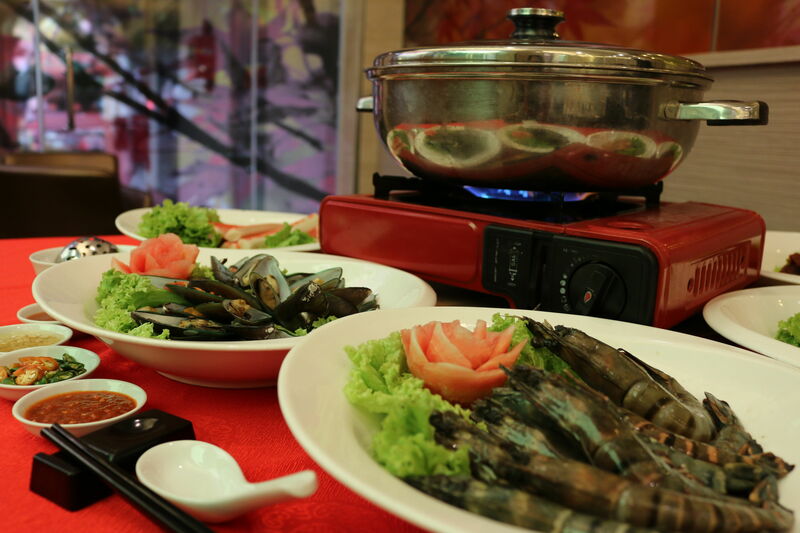 For the Reunion Steamboat Buffet Dinner from 6.30pm to 10.30pm on Feb 7, create happy lasting memories with loved ones ringing in the Lunar New Year at the cosy Sun Cafe. Dine to your heart’s content with the all-you-can-eat selections of seafood, meats, mushrooms, noodles, vegetables and many more at only RM58 nett per adult and RM28 nett per child. Kick off the Year of the Monkey with the Chinese New Year Buffet Lunch available from 12pm to 3pm on Feb 8 and 9. The appetising international spread includes appetisers, soups, main courses and mouth-watering endings and is priced at RM58 nett for adults and RM28 nett for children. 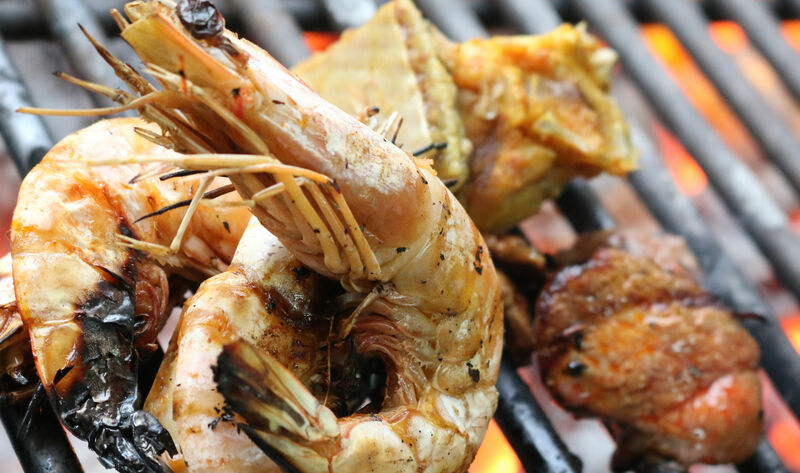 Prawns grilled to perfection for the Grill from Land to Sea. Lastly, taking centre stage throughout January and February are the Grill from Land to Sea as well as the East Meets West buffet dinners on Fridays and Saturdays respectively. The Grill from Land to Sea is all about delicious marinated beef, chicken and seafood grilled to perfection while the East Meets West will take diners on a gastronomic adventure with its Japanese, Nyonya, Thai and Western specialties. The themed buffets are affordably priced at RM50 nett per adult and RM35 nett per child/senior citizen. Enjoy the Buy 3 Free 1 promotion for the East Meets West. For reservations, please contact 04-3707788 or email to dineshsj@sunwayhotels.com while for private functions, kindly call the Sales & Marketing Department at ext 8074 from 9am to 6pm, Mondays to Saturdays. Alternatively, get more details at seberangjaya.sunwayhotels.com.